RAS AL-KHAIMAH, United Arab Emirates, March 20, 2018	(Newswire.com) - Grace Century, an international research and private equity company based north of Dubai in the United Arab Emirates, has aligned itself with MediXall Group Inc.
From inception, Grace Century was founded on the concept of searching the globe for those firms and leaders whose vision was to change healthcare from its core and to use technology in an industry which it believed has been unpenetrated. Radiology / Diagnostic Imaging – MRIs, etc. Soon to be added will be durable medical equipment and even drugs. Scott Wolf, president of Grace Century, comments, “The industry is crying out for price discovery, transparency and comparison. To do this while maintaining the highest certification of excellence and service, all while making it easier for consumers to utilize, is in our opinion the 'holy grail.' We believe our network will bring tremendous value to the MediXall Group, as well as our influence abroad. We wanted to be involved simply because we believe that MediXall’s model will be the 'Amazon of healthcare.'" 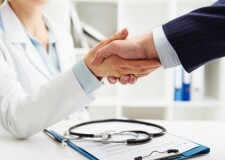 MediXall recently initiated a controlled launch of its new healthcare marketplace earlier this month: https://finance.yahoo.com/news/medixall-group-inc-initiates-controlled-120000901.html. For portfolio or company information, please email info@gracecentury.com or call +971 (0)7 206 885. Please direct all media enquires to info@bigwheel.me or call +971 (0)52 712 1777. MediXall Group is a technology and innovation-driven organization purposefully designed and structured to bring effective change to the U.S. healthcare industry that is actively trading on the OTCQB. The company believes its revolutionary approach will help drive much-needed change that it envisions is needed in the current healthcare system. The mission of the MediXall Group is to revolutionize the medical industry by improving communication; providing better technology and support services; and enabling more efficient, cost-effective healthcare for the consumer. By approaching the healthcare ecosystem as a whole, MediXall creates, invests and incubates companies that embody its mission statement. MediXall’s first product is the MediXall Healthcare Marketplace, a new generation healthcare platform to address the growing need of self-pay and high-deductible consumers for greater transparency and price competition in their healthcare costs. With MediXall, consumers will now have the ability to search for doctors and book appointments based on cost, distance, ratings and availability at the click of a button.